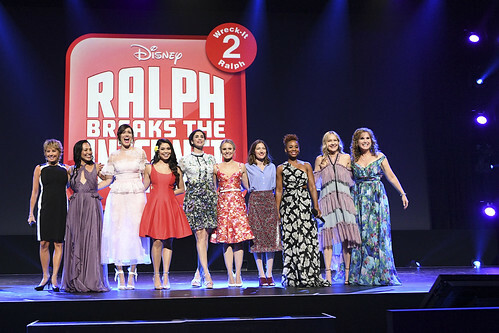 Fans were excited to hear that Princess Tiana, Disney’s first African-American princess, would be making a cameo appearance in the “Wreck It Ralph” sequel coming to theaters in November. However, when trailers for the movie were released, there was immediate outcry on social media from audiences calling out Disney for “white-washing” the princess. In the original film, “The Princess and the Frog,” Tiana was depicted in a 2-D style cartoon animation. Since “Wreck It Ralph 2” is 3-D, animators were tasked with translating the princess’ appearance into the new style. The results, however, were less than satisfactory. Tiana can be spotted in one scene of the trailer sitting among the other princesses drinking a coffee in her pajamas. Unlike how she was depicted in her own movie, audiences were quick to notice that this new version of Tiana had significantly different features. Her nose had been slimmed, her lips thinned, her skin lightened and the curl pattern in her hair had been relaxed. Although the changes made to Princess Tiana’s character design has sparked much controversy, it has also opened up a national dialogue regarding colorism and the importance of representation of POC in media. Voice actress Anika Noni Rose has been very vocal on social media when it comes to speaking out about her meetings with Disney executives. Photo by Wikipedia Commons. Among those outraged by the changes is Anika Noni Rose. Rose not only voices Princess Tiana, but the character was originally animated in her likeness. Along with support from Color of Change, the nation’s largest racial justice organization, together they challenged the company and successfully convinced the animators to render Tiana back to her original design. Cabrini professor Usame Tunagur recently gave a presentation on the subject of diversity in film. Despite reanimating the character so close to the release date, Disney has confirmed that “Wreck it Ralph 2” is still on track to hit theaters this Thanksgiving.